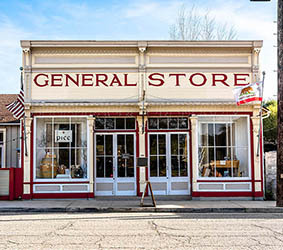 The Los Alamos General Store, built in 1880, now houses both Pico Restaurant and the tasting room for Lumen Wines. Pico is a partnership between Chef Drew Terp, who has worked for numerous Michelin-star restaurants around the globe, and winemaker Will Henry, who partnered in 2012 with winemaking legend Lane Tanner to create Lumen. Pico offers an eclectic, locally-sourced menu, and boasts a wine list of over 300 wines, including some rare old-vintage gems. Santa Maria Sun "Comfort food with understated elegance..."
Lumen Wine Club members receive a free Premium Lumen flight, as well as 25% off Lumen Wines all year long - both at home and at Pico.